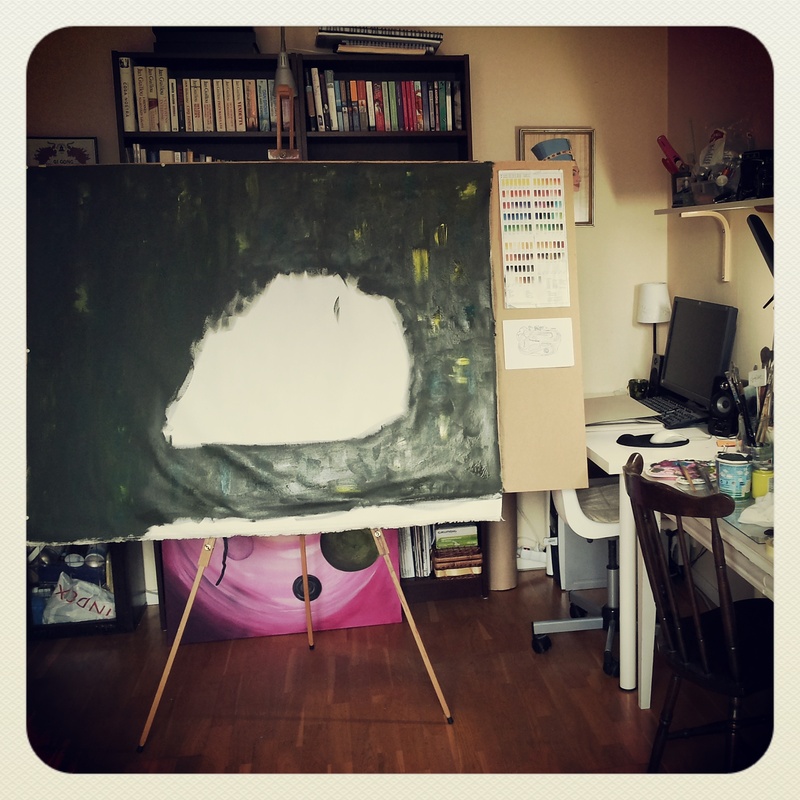 I have started on a new mega huge painting today. Its about 100x130cm (40″x52″). Well maybe its not that HUGE! But it sure feels big in my small studio. I’m a little nervouse because it was a while since I painted this big. I mostly sit and doodle in my small drawing pad that I carry with me everywhere so I’m nervouse I won’t get the balance right in the perspectives. But there are a few tricks I can use to make it right. I have the original sketch in a small A5 and I will be using a grid net to measure it out. You can also use a projector to blow the sketch up this size but usually it can look kind of stiff if you do that. Freehand is always best I think. But in this size it will be difficult to see the proportions while standing up close. Thats exactly how I feel! I have used it once and it was awfull. It both felt awfull and the result was kind of flat and dead. I look forward to the progress! Thanx guys! I will keep you posted.